Anytime Florida experiences some sweater weather, it’s cause for some celebration. This celebration took the form of a spontaneous photoshoot at sunset - as I ran around downtown Fort Myers with Jesús, some cameras, and this beautiful new sweater that was recently gifted to me by Tradlands. A brand that’s about as obsessed with quality, detail and ethical manufacturing practices as I personally am. The Modern Fisher Sweater in Sienna was a gift that far exceeded my expectations and one that I was excited about sharing. (They didn’t ask, suggest or pay for this shout out). This sweater’s knit is just so cozy, soft and designed into a cut that felt super flattering to my figure - I couldn’t help myself. It sparked confidence and inspired so many photos that Jesús and I felt proud of as content creators, a follow up blog post only felt natural. 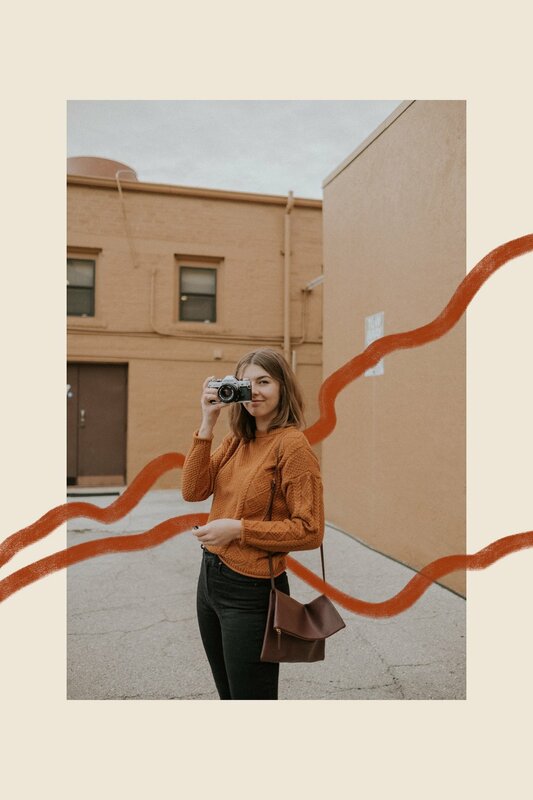 So be it some photography inspiration, or a friendly shout out to Tradlands for their excellent work - I hope you’ll take something sweet away from this post!